Titanium Grade 2 Round bar, ASTM B348 Ti Gr 2 Bright Bar, Titanium Grade 2 Bar, Titanium UNS R50250 Round Bars, ASTM B348 Titanium Gr 2 Bright Bar, Grade1 Ti Cold Finished Bars, Titanium DIN 3.7035 Hex Bars, Grade2 Ti Cold Finished Bars, Ti. 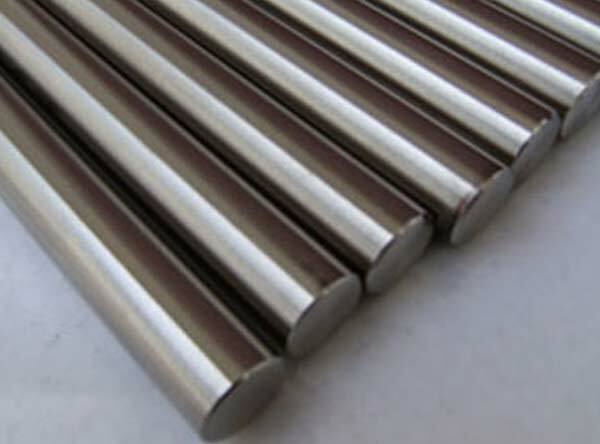 Alloy Grade 2 Round Bars, manufacturer, Suppliers, Exporters, Mumbai, India. Titanium UNS R50250 Round Bars, ASTM B348 Titanium Gr 2 Bright Bar, Grade1 Ti Cold Finished Bars Suppliers in India. Grade 2 titanium is the first of four commercially pure titanium grades. It is the softest and most ductile of these grades. It possesses the greatest formability, excellent corrosion resistance and high impact toughness.Calico Metal Ind Pvt Ltd is one of the largest exporter, manufacturer and supplier of Titanium Alloy Grade 2 Round Bars in India. Titanium Grade 2 Round Bars are commercially pure and is the softest titanium, where it has the highest ductility. Titanium Alloy Grade 2 Rods has good cold forming characteristics and provides excellent corrosion resistance. Titanium Grade 1 Rods also has excellent welding properties and high impact toughness. They are used for several applications such as in Architecture, Automotive Desalination, Dimensional Stable Anodes, Medical, Marine, Processing and Chlorate Manufacturing, etc. Also known as UNS R50250 Bars, our Titanium Alloy Grade 2 Round Bars and Rods are accessible to our valuable customers in different range of diameters, wall thicknesses and sizes in customized form and also at quite affordable rates. Our clients are offered with a wide assortment of Titanium Bars that are used for applications such as static and rotating gas turbine engine components. Our range is fabricated using the best raw material.